Paul M. Minardi, MD, is executive vice president of Finance and Strategy for The Permanente Federation, and the medical director of Business Management for the Southern California Permanente Medical Group (SCPMG). As an executive vice president on the Federation’s National Permanente Leadership Team, Dr. Minardi has oversight over the finance and strategy functions of the Federation, including finance, revenue cycle, the labor-management partnership, corporate development, ventures, and strategy. SCPMG is one of the largest self-governed medical groups in the United States, consisting of more than 7,600 physicians. Dr. Minardi began his role as SCPMG’s medical director of Operations in 2004, and assumed his role of medical director of Business Management in 2012. A graduate of the Autonomous University of Guadalajara School of Medicine in Jalisco, Mexico, Dr. Minardi completed his residency in Family Medicine at the San Bernardino County Medical Center. He is board certified in Family Medicine and is both a diplomat and a fellow in the discipline of Family Medicine. Dr. Minardi joined SCPMG in 1985 as a family medicine physician at the Riverside Medical Center and became a partner in 1987. During his tenure at Kaiser Permanente Riverside, his roles included chief of Family Medicine, assistant area medical director and chairman of the SCPMG Retirement Committee. 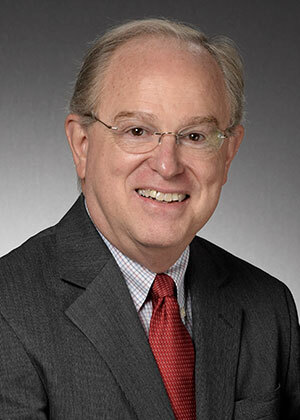 In addition, he served in multiple roles including lead physician for various departments such as Population Care, Home Care, Quality, Continuing Care, Hospital Executive committee, Med-Legal and Risk, Inpatient Utilization Management; assistant program director of the Riverside Family Medicine Residency Program; and Member Services physician advisor. Dr. Minardi has received the Chief of the Year Award, the Helpful Hearts Award, The Inland Empire-People’s Choice Award, Vohs Award for DUAT, and the SCPMG Exceptional Contribution Award. In his role as the medical director of Operations for the Southern California region, Dr. Minardi has been an integral part of the governance during the largest expansion of SCPMG’s physician workforce, health and wellness programs, the largest private deployment and optimization of an electronic health record in the United States, the Revenue Cycle, as well as its strongest year-over-year financial results. Through the introduction of the Employer On-site Clinics, as well as Mobile Health, he has brought Kaiser Permanente’s integrated care model directly into the workplace. In 2010 he won his second Vohs Award for the Proactive Office Encounter. Dr. Minardi continues to be active in academics, and is involved in his community in serving the homebound and terminally ill members of this community. In his free time he enjoys cooking, gardening, fishing, and artistic endeavors.